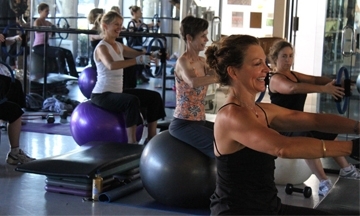 This class is a total body toning and sculpting program performed with free weights. Designed in Peripheral Heart Action circuitry, it keeps the heart rate elevated to increase intramuscular fat burning and to create a strong, sleek, sculpted body. Emphasis is on core strength, proper alignment and biomechanical education.